SiruPate; a khukuri knife preferred by farmers, villagers and Gurkhas. Very famous amongst Nepalese that makes great souvenir from Nepal.. 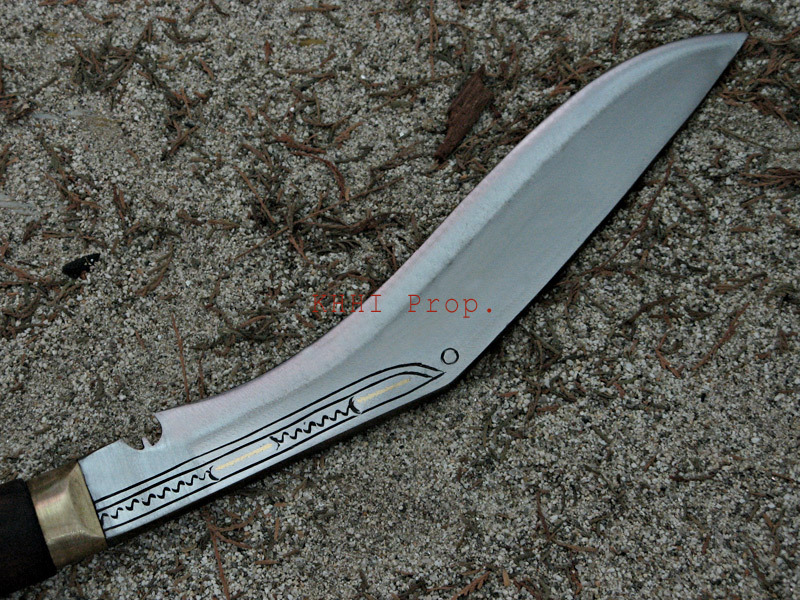 Slim and handy Sirupate khukuri has unpolished blade, fixtures..
Its defined name says it all; a SiruPate version or a slim version that is unpolished and made for rough use. 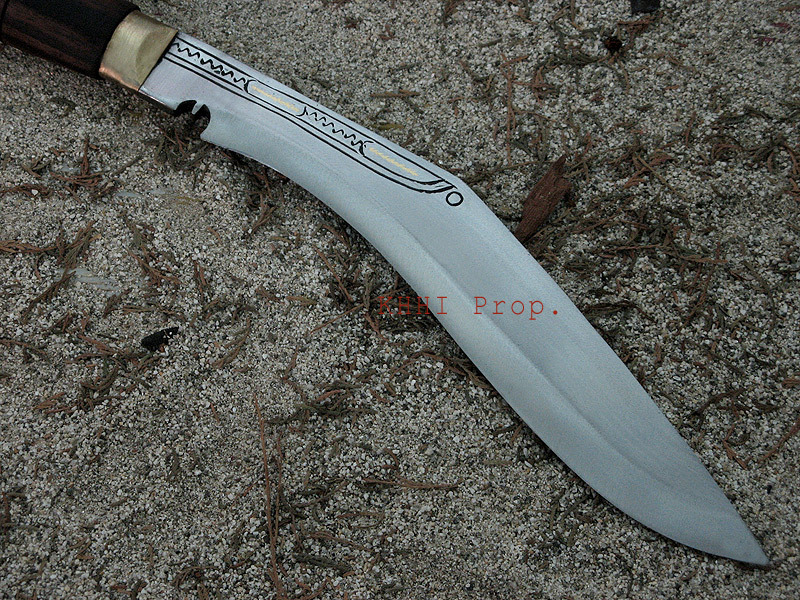 Since this unpolished khukuri also skips the long machinery process of buffing (shiny) the initial temper/hardness is retained making the edge very strong, hard and durable. This totally unpolished sirupate khukuri has unpolished fixtures and finishing to offer better grip, handling and tough look. It has good reach standing at 10” long and well placed equilibrium at around the notch area that provides a perfect feel and handling. This SiruPate slim khukuri comes in a basic (traditional) rat-tail tang handle with wooden grip secured by brass fittings. A simple normal leather scabbard with a lanyard loop for thigh leather cord /string and a single belt-loop frog is fixed. In the rural villages and hilly regions of Nepal farmers carry out their daily domestic and livelihood works by always carrying a khukuri knife. 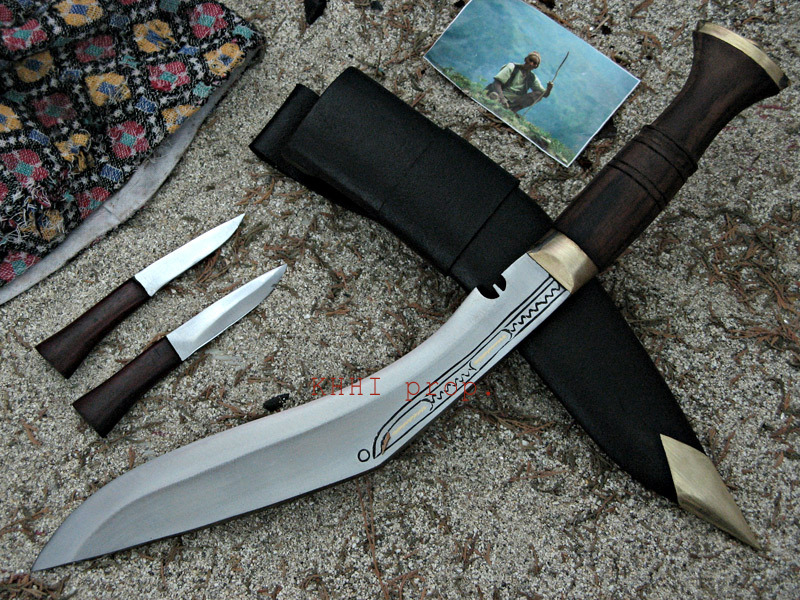 Therefore a need for a handy, functional and mobile khukuri is necessary that would assist them to accomplish any objectives that involve cutting, hacking, clearing, hammering etc. Since a SiruPate khukuri is slender, lighter weight and handier, making it more practical than other khukuris, farmers prefer it over other models and heavily rely on it. The knife not only helps a farmer do his daily profession but also safe guards him from imminent threats and danger from wild animals while in woods. This special bond between the user and his khukuri keeps him stable, strong and always at a safe bay. SiruPate khukuri becomes like his guarding angel physically, mentally and religiously. SiruPate khukuri is Nepalese no.1 choice. A SiruPate is a slimmer and lighter compared to other khukuris yet very effective. The mobility, easy-going and delight-to-carry feature of the khukuri knife makes it more special and extra than its counterparts. It is designed for daily household and outdoor cutting activities in the villages and hills. It is one of the most famous and common khukuris in Nepal which has good demand amongst the locals. It is highly recommended for those who like to travel light. Sirupate khukuri makes very good gift and souvenir to take back home from Nepal. The very main advantage a Sirupate khukuri has over its counterparts makes it a preferred knife of any Gurkha soldier (recruits). The blade is constructed narrow, slim and light (less weight) thus very easy to maneuver and carry around. It has good reach that make cutting effortless. There is no stress in handling the khukuri for a prolong time and you can also walk miles carrying it with no pressure at all. Moreover majority of Gurkhas are small stature so something small and light yet very effective and versatile khukuri is always their 1st choice. SiruPate is by no means a standard issue but an optional no.2 khukuri knife for training, exercise and even for military campaigns and battles. Soldiers have choices when it comes to their secondary knife and most would pick Sirupate. 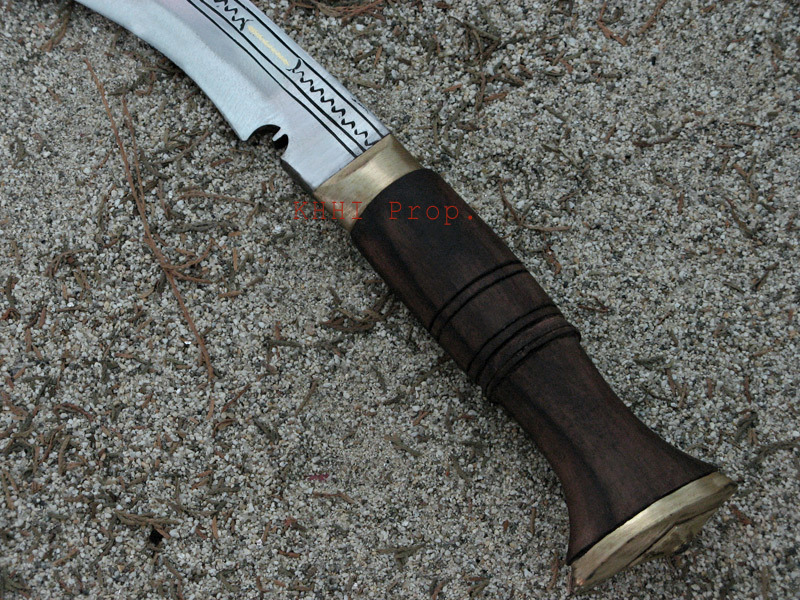 This khukuri they buy on their own from reliable manufacturer (source) like KHHI Nepal. There isn’t many classic models in this format. Some have the slenderness but much more curved. After the war (killing) era a need for a more functional and domestic kukri knife to assist the daily rural living led to the creation of this model. Villagers turned to the nature and found the answer in the form of a special leaf called the SIRU-PAAT. The shape was copied and molded in a kukri profile. It is our belief that SiruPate kukri materialized in early 1800s.